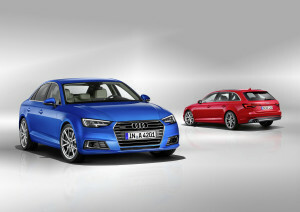 The new Audi A4 and A4 Avant announced June 29 will weigh nearly 265 pounds less than the current A4s, thanks to a mix of aluminum, high-strength steel and even magnesium in major structures like the body and powertrain as well as bite-sized weight cuts in items like the power steering system, brake pedal and carpet. The body of the upcoming A4 — automotive media call it the 2017 model — is 33.1 pounds lighter, thanks to the use of more aluminum and hot-stamped steel. 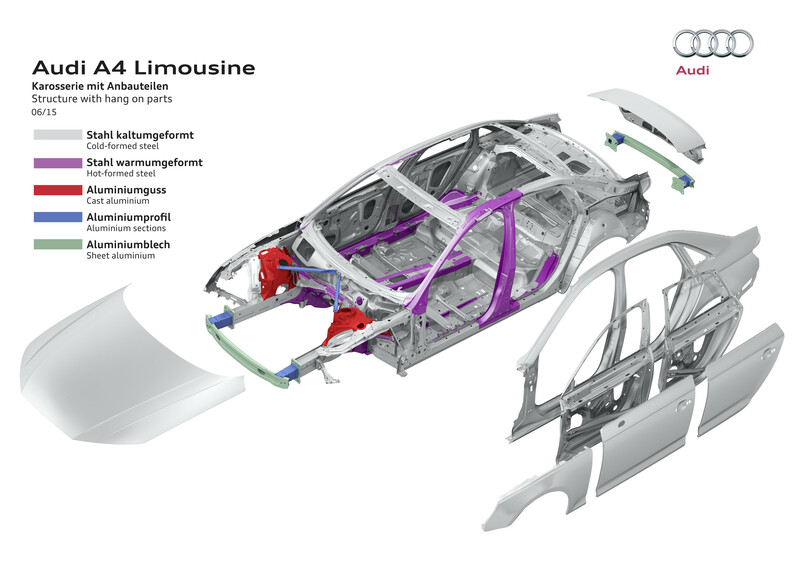 Audi said all A4s have aluminum extrusions for the front and module cross members, and the Avant has an aluminum tailgates and nodes in the top of the D-pillars. The tailgate will be built with an “intelligent tool,” according to Audi. 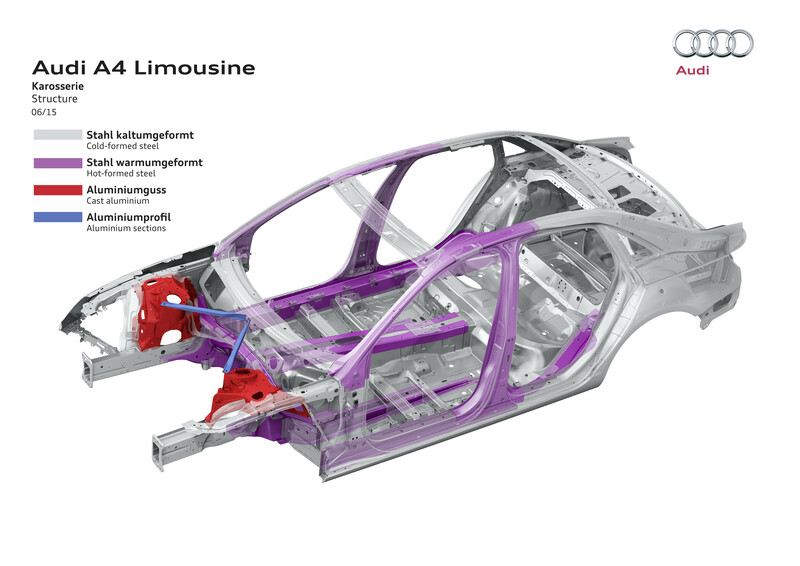 Those ultra-high-strength steels comprise 17 percent of the body alone in the new A4 and Avants, and they can be found in the usual locales: the roof rails, B-pillars, door sills and floor. “Highly integrated” MacPherson strut mounts, instead of multi-part steel ones: More than 17 pounds. Seats: The rear seats have magnesium components and a “light wire frame,” and the front seat substructure is high-strength steel. Nearly 20 pounds. Odds and ends: A new carpet, foamed air conditioning ducts and an aluminum brake pedal cut another 8.8 pounds.